When I was a preschool teacher I had learned this concept many times, but never actually tried it: using photos to inspire a child's art. It's so basic and obvious, I just never really did it. Older kids and adults are always using photos or still life to copy or at least inspire, but it works with preschoolers too! 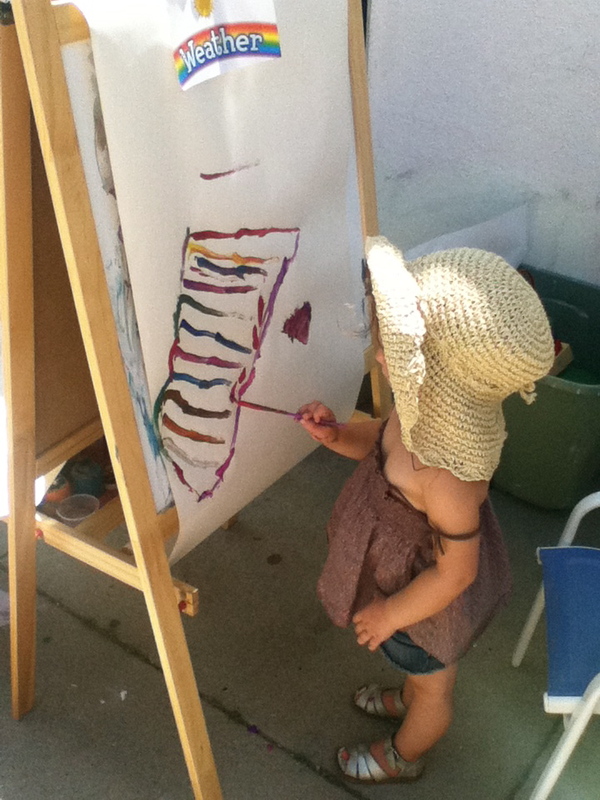 Freida loves using her imagination, and I'm always happy to let it run wild ("here's my picture mom!" "it's awesome! what is it?" "poopy on a shark!" lovely. 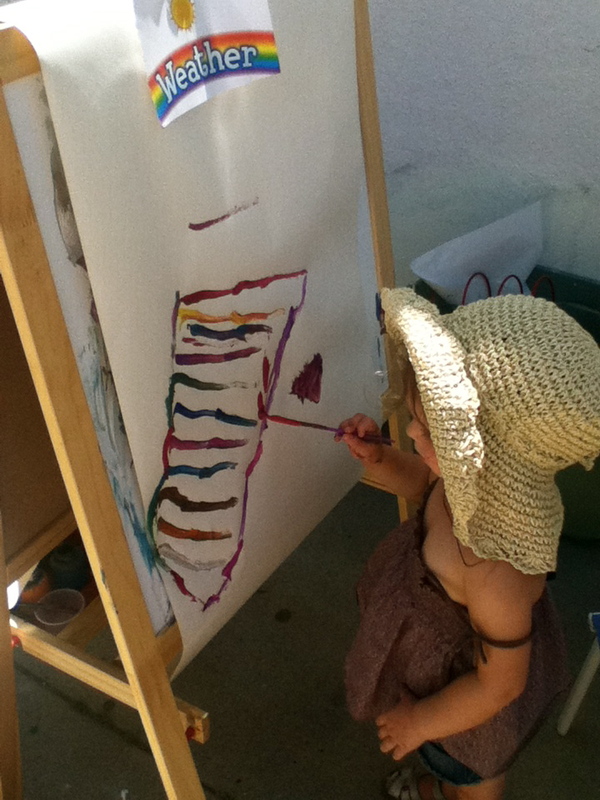 :) But recently her art time has dwindled and she seems to get bored at the easel really quickly. So, I started with the photo-inspiration technique, and it's been working wonderfully! 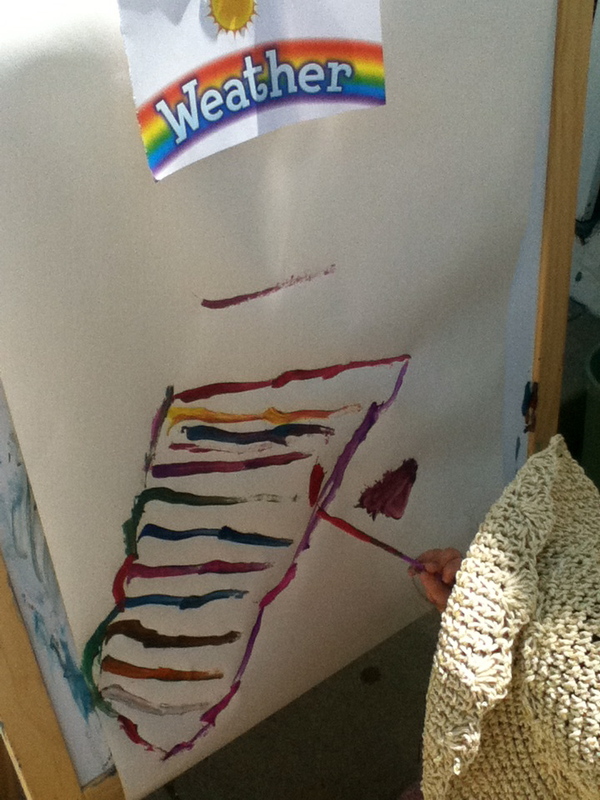 This rainbow was our first shot at it, and we've since done butterfly, mountains, and lady bugs! It really seems to help keep her focused and lends to feelings of accomplishment... Try it!